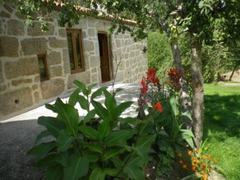 A welcoming B&B partially located in a natural reserve. It’s perfect for you to relax or enjoy different types of activities both at the villa and nearby such as wine tasting, picking mushrooms, enjoying regional gastronomy, winter or adventure sports etc. We can also host or produce your event. 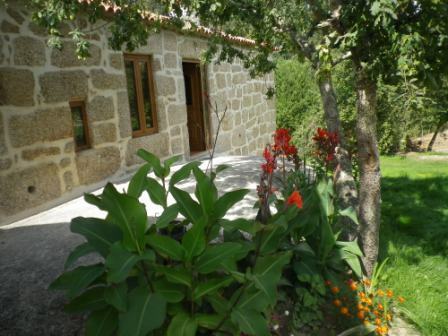 Vale Martinho has four unique bedrooms equipped with private bathrooms, large windows with balconies and a view of the amazing country side. There is a special spa room where you can enjoy the hot tub and a room for you to get a massage (you must book in advance). There's a bedroom equipped for people with special needs. A crib can be included in the bedroom for free or an extra bed for a fee. In the "mother" portion of the house you can find a small reception area, a living room for you to socialize, a dining area prepared for your dinner parties, a kitchen and a cozy room downstairs where you can have a drink which is also prepared for an event you want us to host. Both the rooms have fireplaces. Outside you can find another kitchen, this one with an old fashioned oven in which we cook our bread and where you can learn how to do it too! There's a garden, a spring, a small natural pool, a vegetable garden and lots of trees. Check In/Check Out : Check-in from 4 pm to 22 pm. Check-out until 12pm. Late check-out when available, until 2 pm. Cancellation : Up to 8 days before check-in, reimbursement of 50% of the reservation value. What to see & do : There are some activities for you to do while in the villa: picking mushrooms, canoeing, you can get a pick-nick basket we put together just for you, we can book a massage for you or you can use our hot tub, you can go for a horse ride, learn how to cook bread just like people did here in old days... Keep in mind that if you want to enjoy any of these services you must book them first. We can also create and accommodate your event or dinner. Take A1 highway north until after Coimbra, then take IP3 (E801) and, after 45 kms you'll find IC12 (N234), follow it, and after that, turn right at the indication for "Tábua" and follow the directions to S. Miguel/Cancela. Once at Cancela, turn left to Rua (das) Quintas, Vale Martinho is after a right turn at Rua À de Martinho. Follow A1 South take the exit towards: E801 (exit 13) IP3 - Viseu - Coimbra Norte, take E801 / IP3 towards Viseu and turn right to IC12 / N234 . Turn right at the indication for "Tábua" and follow the directions to S. Miguel/Cancela. Once at Cancela, turn left to Rua (das) Quintas, Vale Martinho is after a right turn at Rua À de Martinho. Leave Vilar Formoso, continue along N332, turn left towards Aveiro-Guarda, then immediately, turn left : E80 / A25 / IP5 towards A25 Aveiro Guarda Norte Take the exit towards Mangualde Penalva do Castelo Gouveia, At the roundabout, take the 2nd exit: N329-1 towards: N329-1N234 Mangualde Coimbra Nelas, At the roundabout, take the 1st exit: N234 towards: Coimbra Nelas, Take the exit towards: Tábua São João de Areias and follow the directions to S. Miguel/Cancela. Once at Cancela, turn left to Rua (das) Quintas, Vale Martinho is after a right turn at Rua À de Martinho.